Management software for running multiple centers that improve flexible workspaces’ efficiency and help them deliver a consistent experience to their members. Well balanced between in-depth functionality and intuitive user experience. Connected to all systems already in place to help save time and keep current operational process. 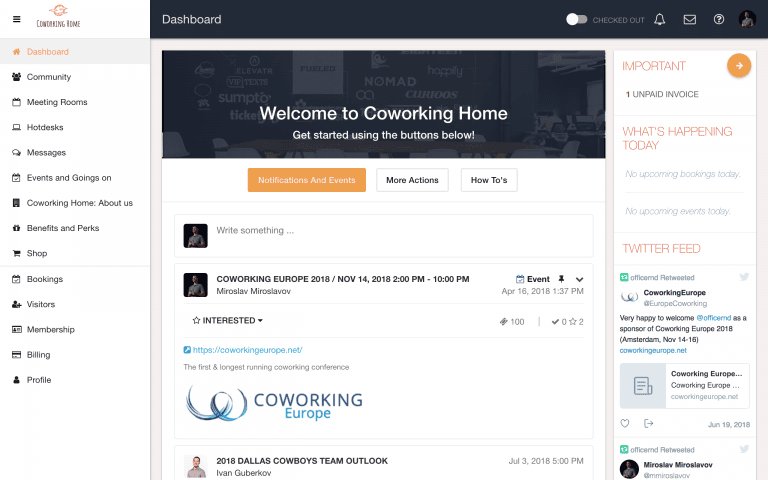 OfficeRnD acts like a coworking CRM that is your single point of truth for the complete lifecycle of your members. 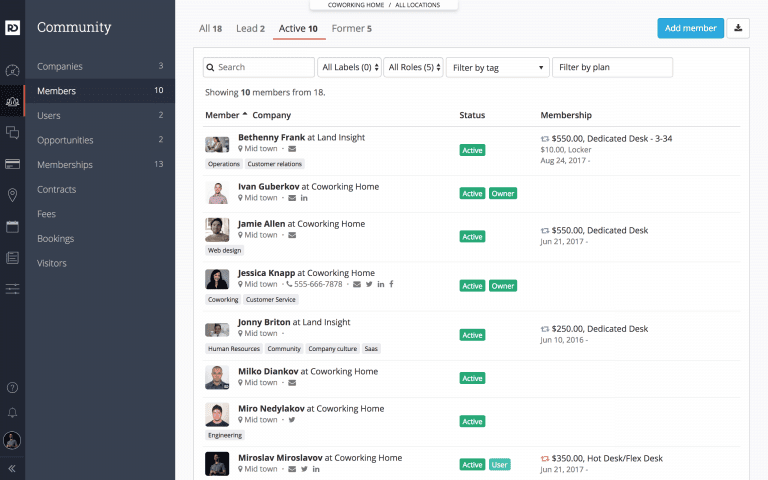 Manage relationships from lead to revenue, remove friction in your members’ journey and improve client retention. 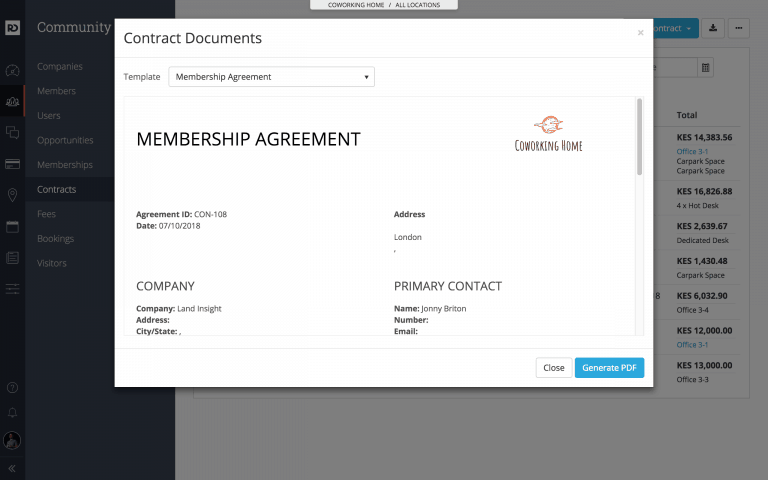 Easily manage and create contracts and licenses for the full range of your services from one-off products to flexible memberships. "OfficeRnD has enabled greater clarity around our business through it’s business intelligence platform, allowing us to plan and deliver the best service to our members. Their flexibility in shaping this tool to our core business needs has made working with them effortless. At Central Working we had searched for many systems before selecting OfficeRnD, we would highly recommend them." Automate your whole billing process to save time and ensure your accounting records are always up to date. 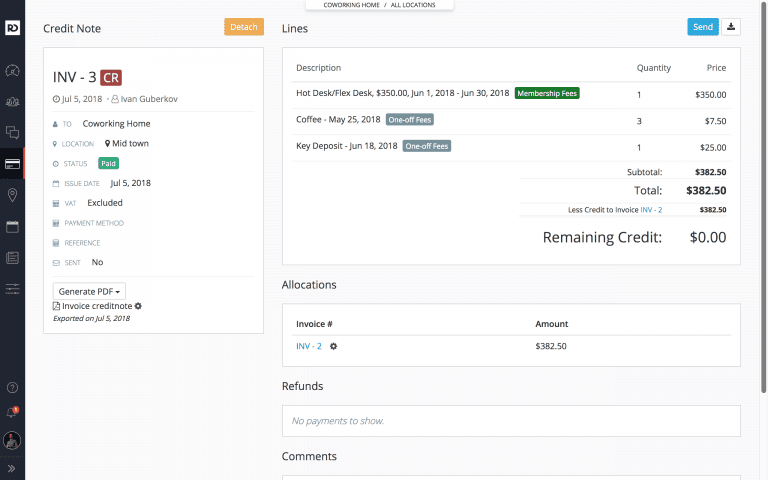 Get real time reports on revenue and invoice payment statuses. Natively integrated with payment gateways. Allow members and guests to go online and book, confirm, and manage their meeting room reservations in any of your centers. Our booking system is available on the web and mobile (iOS and Android) and is tightly integrated with Billing, Access Control and WiFi. 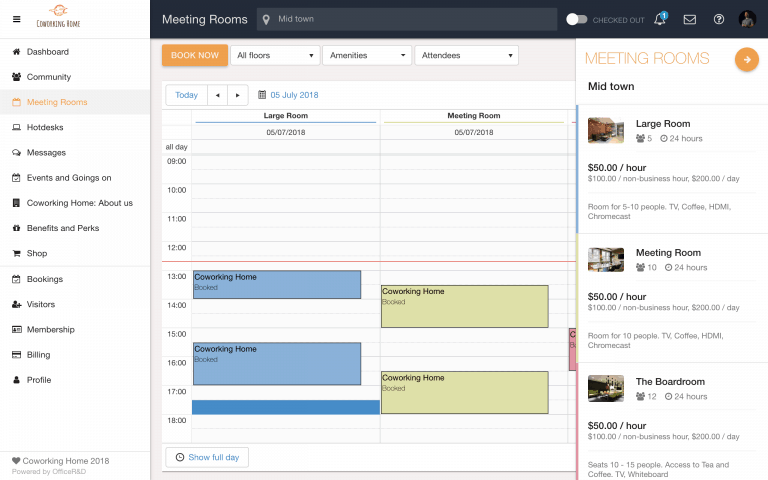 Improve members satisfaction by giving them the tools they need to interact with your space and staff in real time. Remove basic administrative tasks from your customer teams, so they can focus on delivering exceptional customer service. Keep your community engaged and connected. Increase member’s visibility, stimulate knowledge-share and nurture business relationships by exposing members to each other and giving them the means to collaborate. Visualize and communicate availability in a nice and easy way to keep everybody on the same page. 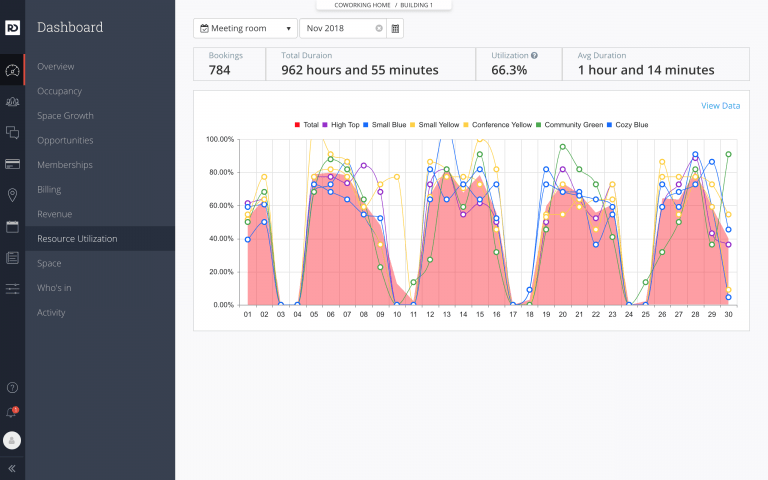 Get the ability to click and get insight into revenue, occupancy timeframes, agreements and more. Get a real-time snapshot of your revenue, billing, occupancy, resource utilization, and more. A unified view across your workspace portfolio to enable fast, evidence-driven decisions and sustain growth. 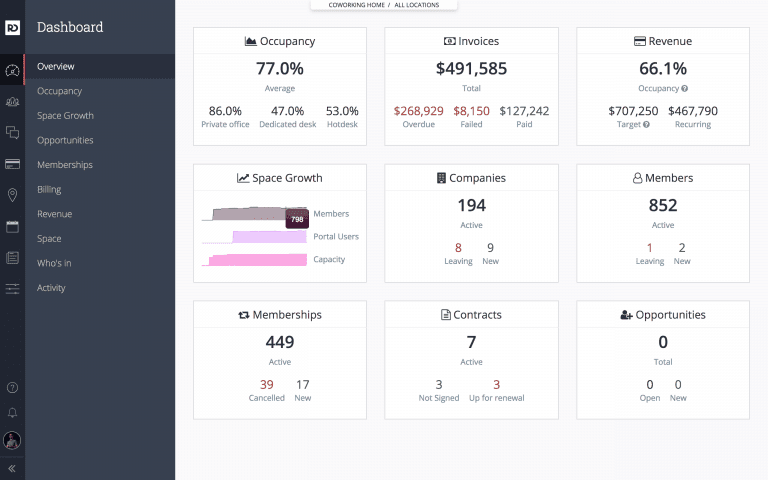 OfficeRnD acts like a central hub that connects to and manages all business systems already in place, saving space operators time and allowing them to focus on what matters most.